Skewers of Eel (Left), Beef (Middle) and Chicken (Right) @$6. The meats themselves are not special. When they absorb the special sauce for Indonesian Satay, skewers become tastier. Indonesian sauce is the soul of skewer. Besides skewers, fried rice and fried noodle are available as well. Of course, all are for take-away. At night, there is a smell of tasty BBQ meat in Shaukeiwan Main Street East. 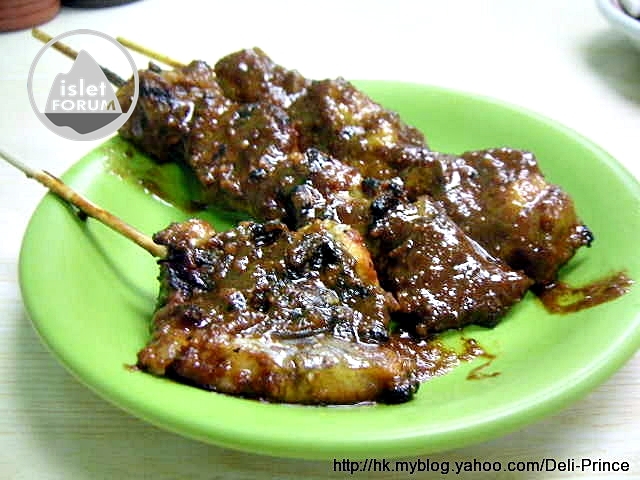 It is mainly from the grilling of skewers in this small shop – Indonesian Sate House. It is a shop with no seating. All you can do is to buy take-away, or to eat your ordered foods by standing in front of the shop. If there is a chance to dine in Shaukeiwan Main Street East, it is suggested to try the skewers before moving to your selected restaurant.